There hardly is any day in a week when we don’t scroll through our Facebook feeds. 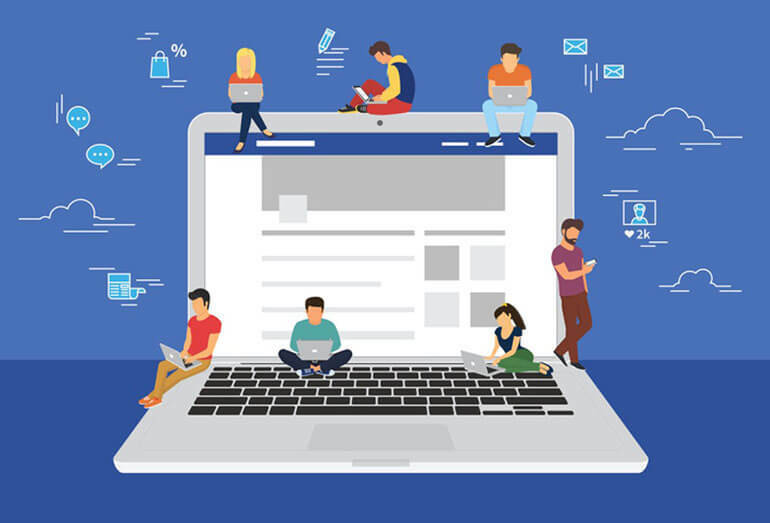 According to DMR, 65% of Facebook users log on daily that accounts for more than 1 billion daily visitors, making Facebook marketing one of the tool that shouldn’t be neglected by marketers. By now we all know that it is very important for a business to have a Facebook presence. Even small businesses that do not wish to spend on a website, have a Facebook page to showcase their products & services. But having a page on Facebook with few fancy posts is not enough. It is becoming very challenging to stand out among the competition. It is very important for businesses to know how to grow their audience through Facebook. Target very specific audience: Facebook allows you to target a very specific group of audience on basis of gender, location, location radius, interests, age etc. Engage your Audience: Run a simple contest/quiz with a tempting incentive and spur up your audience engagement on Facebook. Create short video posts: Entertain your audience with short videos. Video posts have 135% more organic reach than photo posts. Add playful posts: It’s a good idea not to take yourself too seriously while doing Facebook advertising. Add funny & playful posts (of course being in line with your brand) that will grab attention & distract the viewer immediately from their news feed and bring them to your post. Humanize your brand: Add photos & short videos of your employee at workplace, events, presentation or even company retreat/outings. Boost up: Add some budget to your Facebook marketing & boost the posts to your page to engage more audience. Call to action button: Add a call to action button on your page for the audience to contact you with a click of a button. Customize your page: Make sure your profile is complete with your display picture, cover photo, services, about your brand, product or services, contact details etc.